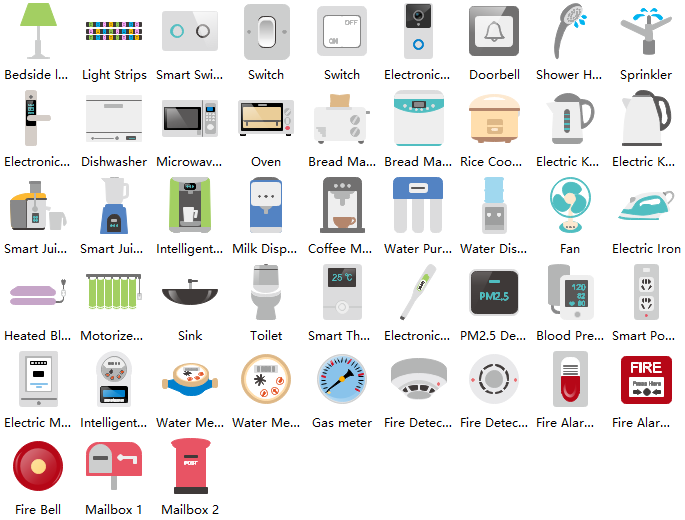 A collection of high-quality vector smart home cliparts for free! Download these clip arts and use them in your smart home system. 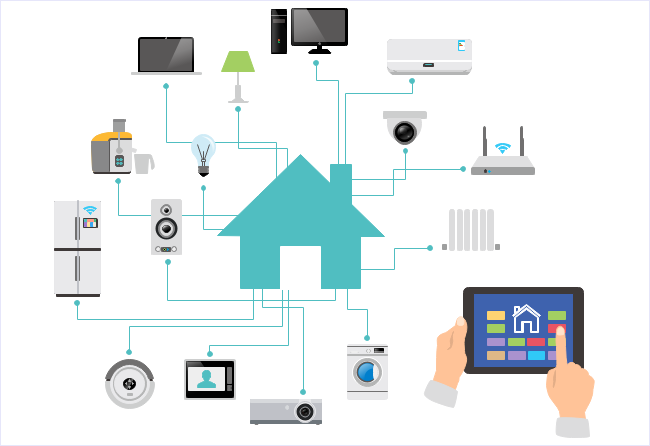 Smart home, or home automation, involves the control and automation of almost everything in a house, including lighting, heating, ventilation, air conditioning and security, as well as home appliances such as washer/dryers, ovens or refrigerators. Wi-Fi is often used for remote monitoring and control. 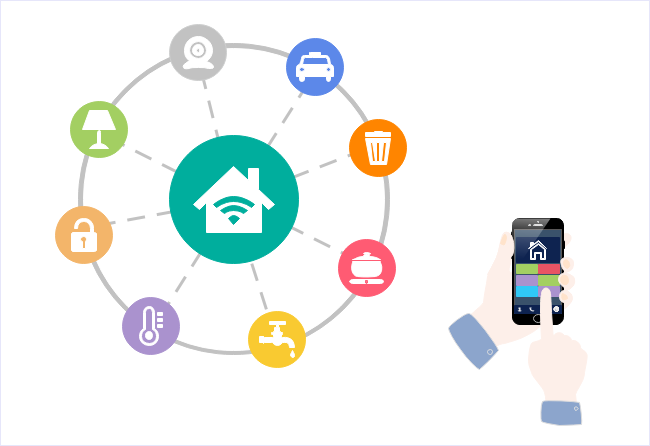 Since the Internet of Things has come out, smart home system is becoming more and more popular in modern home. Edraw clipart software has stored lots of professionally designed vector smart home cliparts which is part of Internet of Things cliparts. 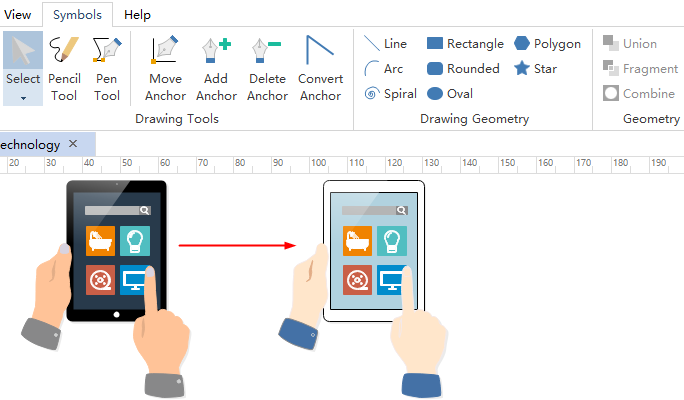 You are allowed to use and customize these cliparts in Edraw. 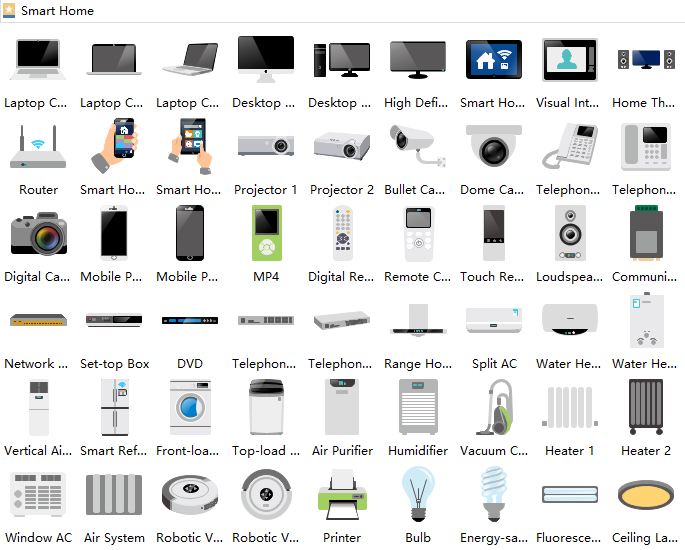 Smart home cliparts in Edraw includes commonly-used home appliances as well as heating, ventilation and air conditioning. You can change the color, shape,size and content of a clipart for your necessity. Besides, flexible use of the pen tools and geometry operations would help a lot in creating original smart home cliparts. The following are examples of application of smart home cliparts in infographics. Proper adjustment would help customize original infographics that meet your demand. You can click on the picture to download the examples for free.